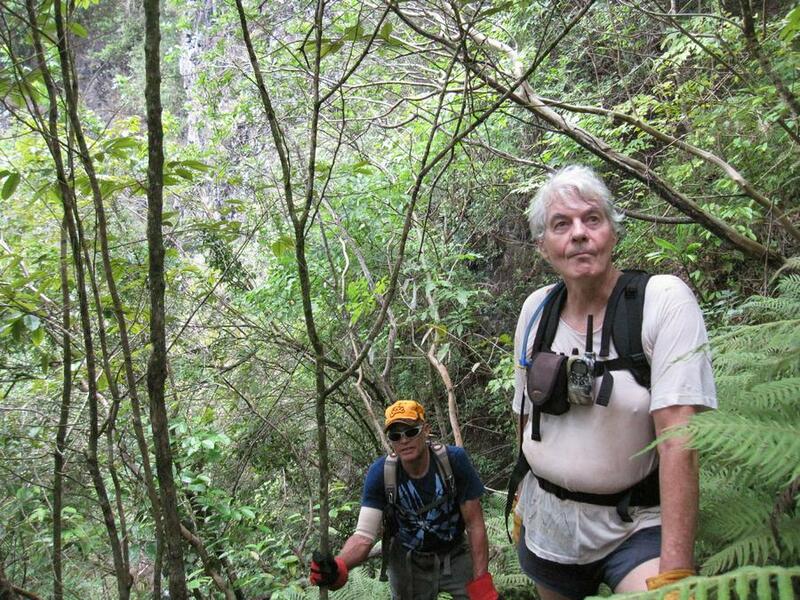 In preparation for our Wai`anae "Super Hike" we headed up Star Trek today packing up a few extra liters of water which we would stage along the trail. 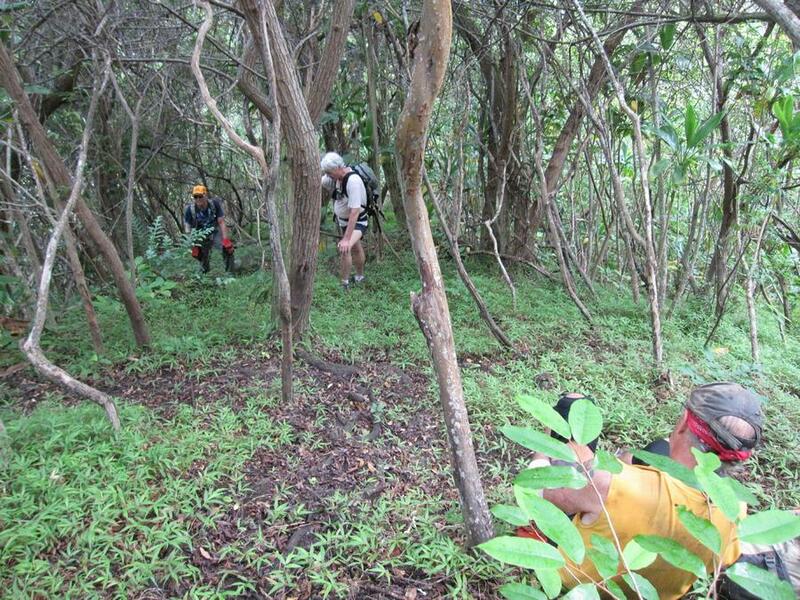 The super hike will go up Hobb's Ridge, turn left and climb to the top of Kalena, continuing past Kalena to the twin peaks know as Kamali`i and descend the "hidden" trail known as Star Trek. The first pictures shows you the route. The peak on the left is atop Hobb's Ridge. 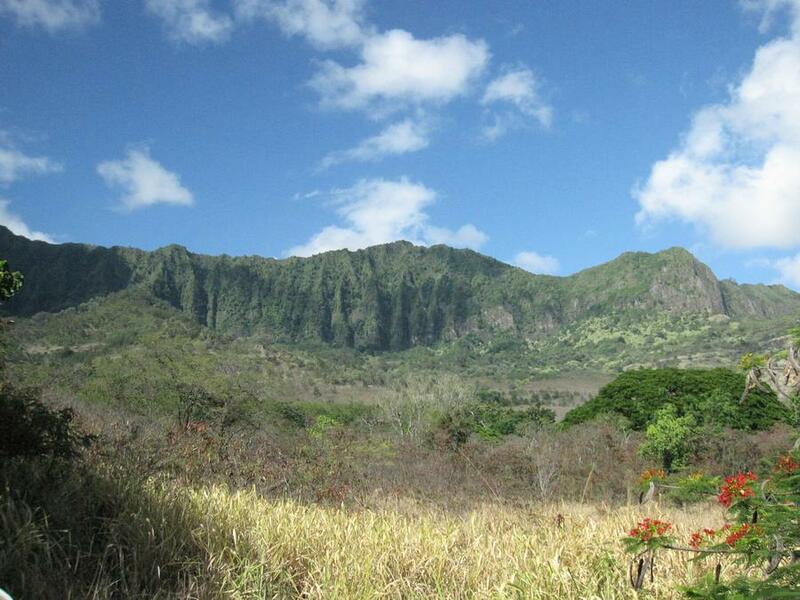 Kalena is the tall peak in the middle, and Kamali`i are the twin peaks on the right. We are not reveling the Star Trek trail head at this point in time. But someone did find it and left what seems to be hundreds of feet of rope and webbing to make the almost imposable hike possible. You'll see the rope/webbing in the video on the last page, thanks whoever you are. As this and the above show the trail is quite steep. Here Dan and Joseph stare at something ahead of them.